I ALWAYS wanted to try Artis brushes! Such expensive brushes- are they really worth it? 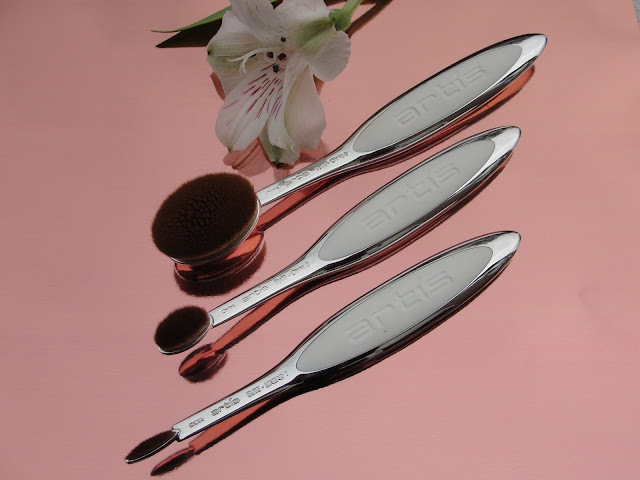 This Artis Elite Mirror Special 3 Brush set retails for $105!!! That is a chunk of money for a couple of makeup brushes, if you ask me! Now let´s get into the details, shall we? It's funny, that at first sight we might think these brushes look strange- all the while we are applying our makeup with brushes, that are originally made for acrylic or oil paintings! Hehe! ;-) No, really, I find these are much better and easier to hold for makeup application. Watch yourself next time you apply makeup! You kinda have to awkwardly hold regular makeup brushes and almost twist your arm- not so with Artis brushes! The shape completely ergonomically lays in my hand and I don´t have to twist my arm around at all. OK! 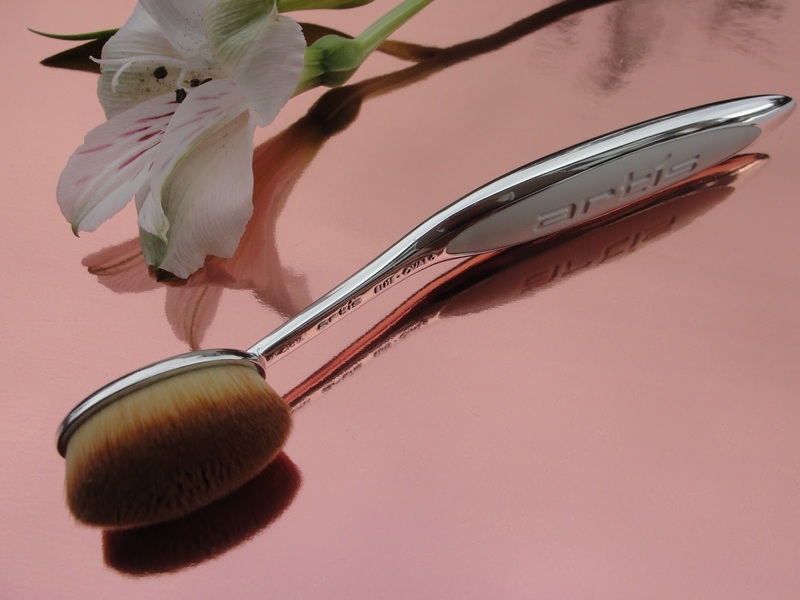 What else is so different about Artis brushes? Girls, it´s all about the CosmeFibre! CosmeFibre is an engineered fibre, that has a tapered tip that ends in a microscopically fine structure, which is only a few microns in diameter! This ultra fine tip blends on a microscopic level, creating patterns so small they are imperceptible with the naked eye. 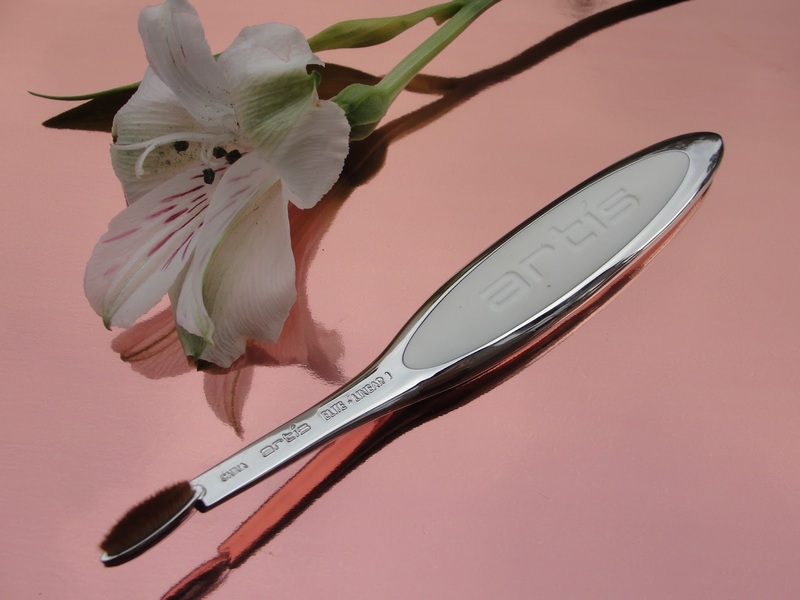 Artis Elite Mirror Linear 1 ($36): I love this to line my lower or upper lash-line! Perfect size. Also: Artis brushes have on average have 3-10 times as many individual fibres as conventional brushes. More fibres do more work with every pass across the surface of the skin. For example, the Oval 10 Brush has over 250,000 individual fibres each with a microscopically small and soft tip. Artis Elite Mirror Oval 6 ($57): I use this brush to apply my foundation! Super soft! The uniform surface area of each CosmeFibre helps pickup and lay down product, without holding on to it. Less product gets trapped along the fibre’s length, and instead is held between the fibre tips. Artis Elite Mirror Oval 3 ($41): this is great for eyeshadow all over the lid! CosmeFibre is made with a proprietary material that has some shape memory. This helps each fibre retain its shape better than conventional animal hairs. 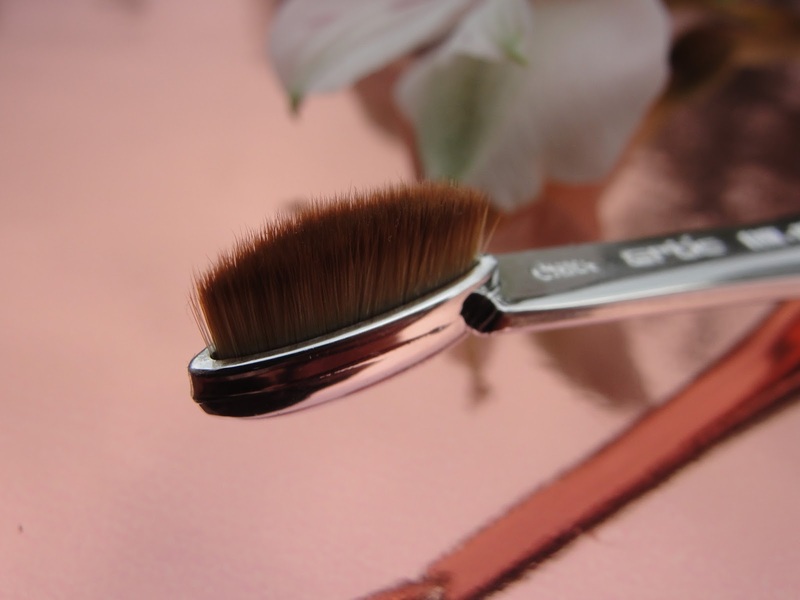 If a CosmeFibre brush ever gets bent from compression during storage, you can revive the shape by holding the brush under hot running water or in steam for a few seconds, reshaping, and then allowing it to dry back to its original shape. 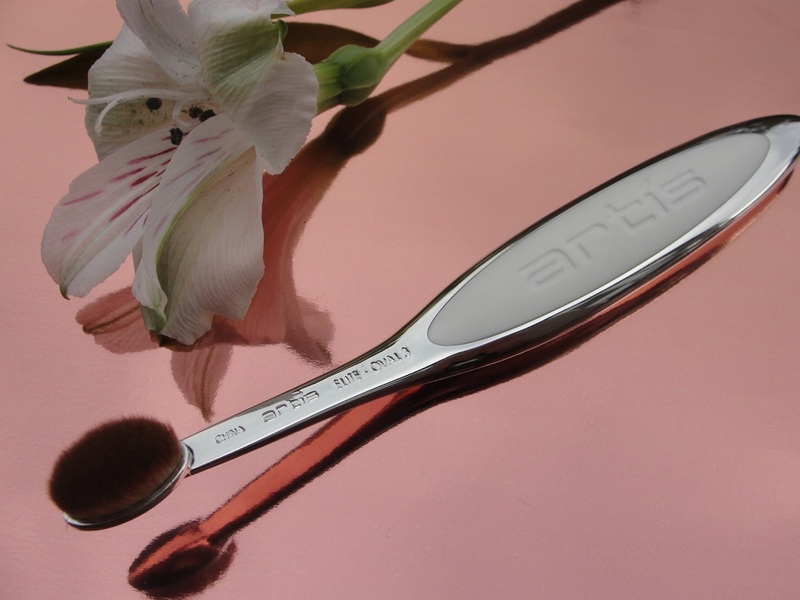 BTW: Artis also offers cleaning systems to keep the brushes professionally clean. It includes a Brush Cleaning Pad plus a Brush Cleansing Foam that cleans and sanitizes without the use of alcohol. 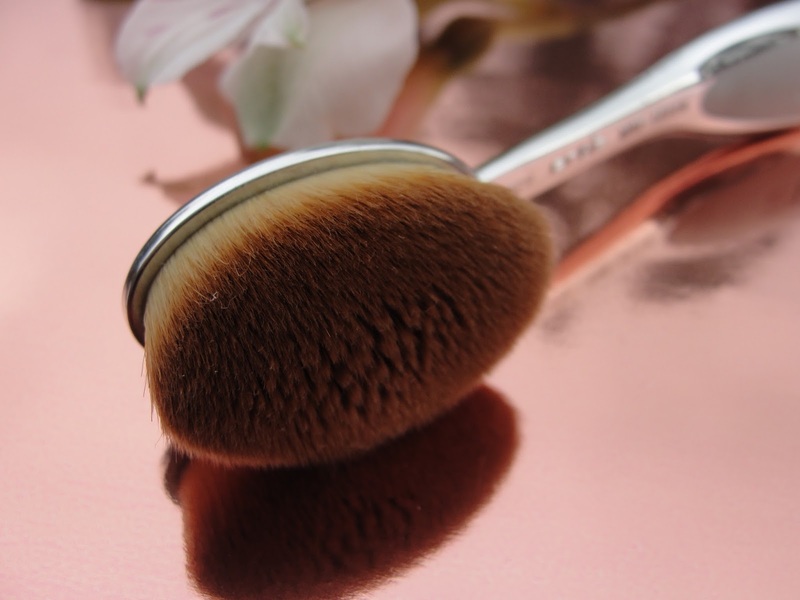 You can quickly cleanse your dry brushes by gently swiping over the pad or deep cleanse them with the foam! 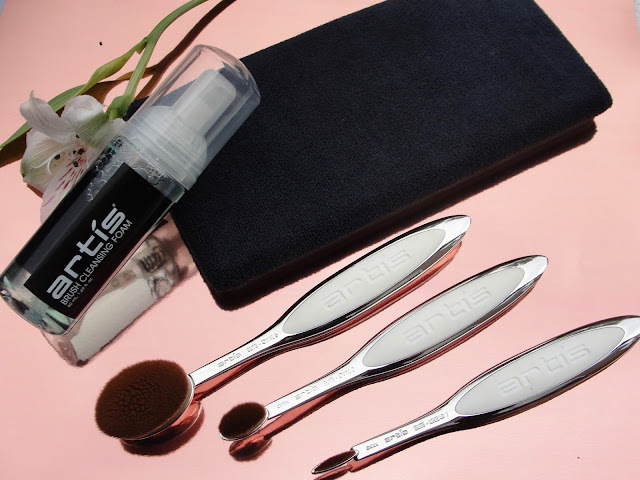 Artis has truly evolved our makeup application! But you have to also re-learn your technique: smoothly and gently glide the brushes - instead of extensive blending. Not only do I find these brushes save me product (because the fibers don't "drink" product, but instead keep for example the foundation on top of the brush), but also that my makeup application goes so much faster! Once you tried it, you believe it! 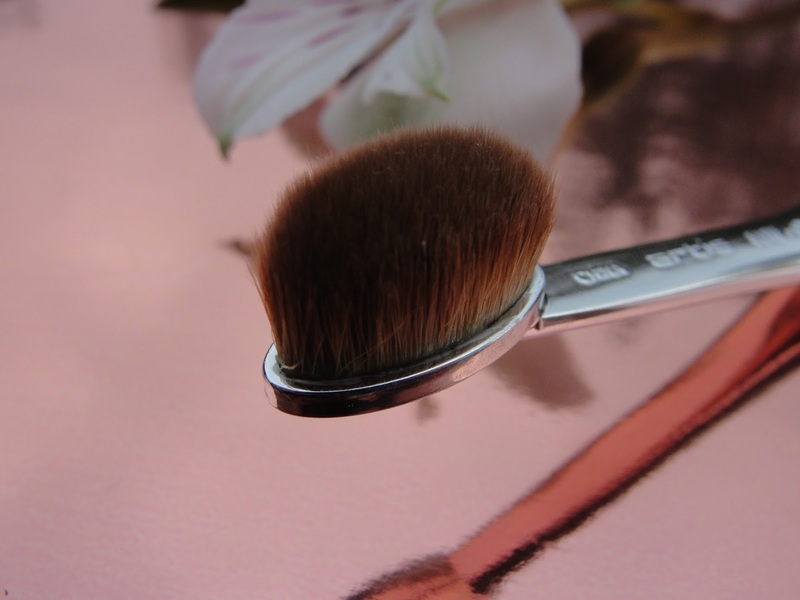 If you only want to try 1 brush, I´d go for the Artis Elite Mirror Oval 6 - love this brush to apply my foundation. Have you ever tried any Artis brushes? What do you think of them?